There are many Asparagus spp. that have become environmental weeds in Australia. Details of the two that are impacting on Helensburgh and surrounding areas are below. How it spreads: Dumping of garden waste. Seeds are dispersed by birds and small animals. Asparagus species are highly invasive environmental weeds. 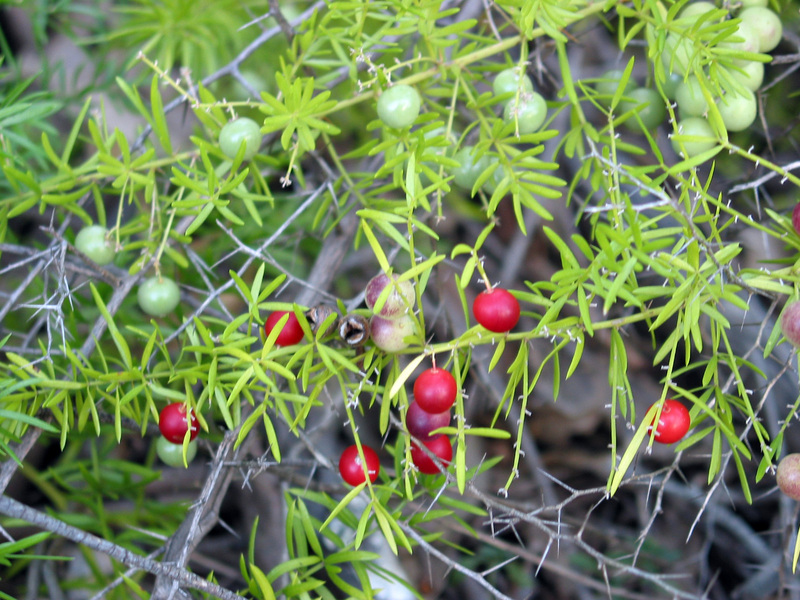 The ability to abundantly produce seeds and flowers enables asparagus fern and bridal creeper to quickly invade and suppress other plants. 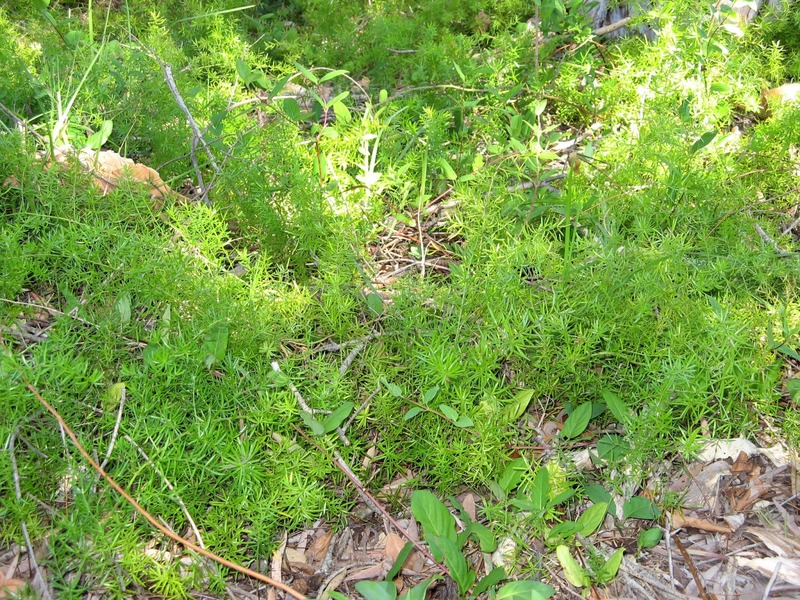 Asparagus fern swiftly attacks any disturbed, cleared sites of vegetation. 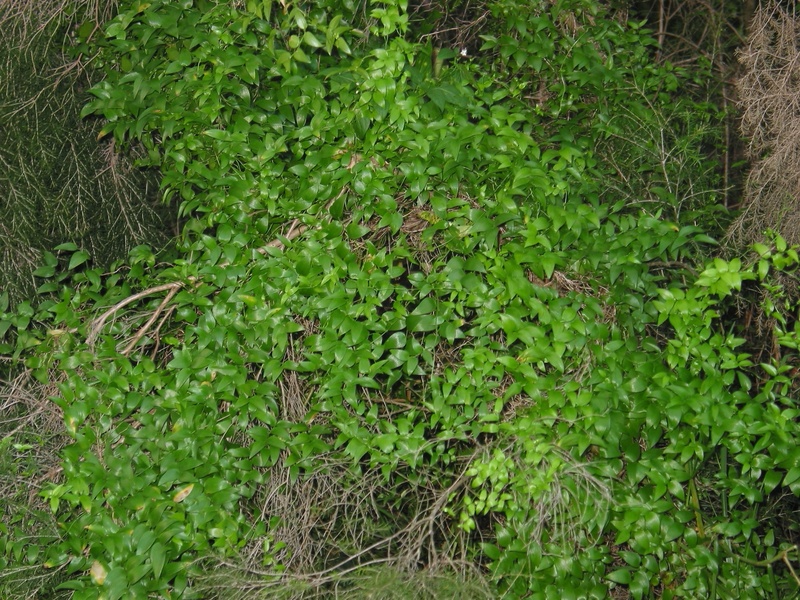 The plant has become a dominant ground cover, displacing native plants. 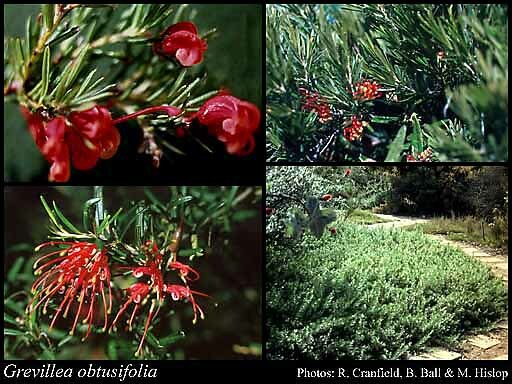 With its mat of fibrous roots and tubers, the plant has the ability to take over the soil, trapping water and nutrients and so reducing their availability to native plants. Bridal creeper forms large underground rhizomes. It twines up into surrounding vegetation, eventually covering the ground and any plants. Asparagus fern is a multi-branched prostrate herb forming a dense mat of roots. The fern-like branches grow to 60cm with a covering of small sharp spines. 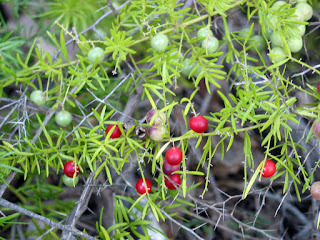 The plant has small white-pink clusters of flowers in late summer which ripen to bright red berries. These 'ferns' will overtake natural species by developing dense thickets that deprive other plants of light and nutrient as well as destroying habitat. Removal: The central rhizome must be removed. For small plants lever the plant up with a hand tool. 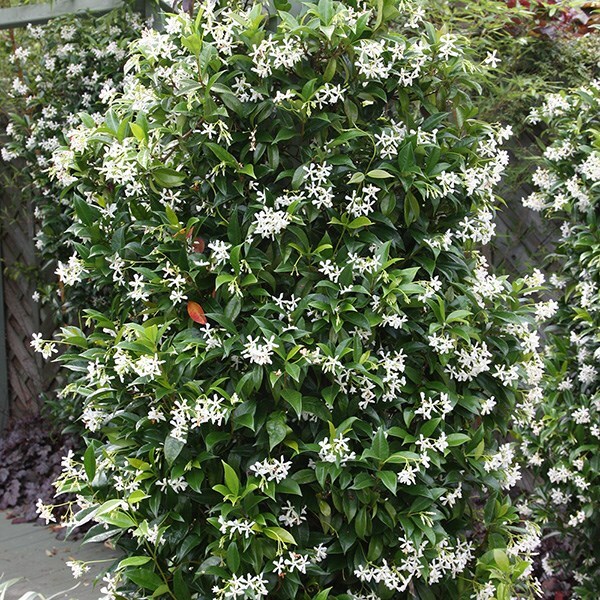 For larger plants, cut off the stems, then clear around the rhizome cutting the roots and levering out the rhizome. Dispose of rhizome and any fruit in the red bin. Water tubers and roots can be left as they will not reproduce. the base. Leaves grow alternately along the stem, are bright green, thin and glossy, are 1-7 cm long and have around seven parallel veins. 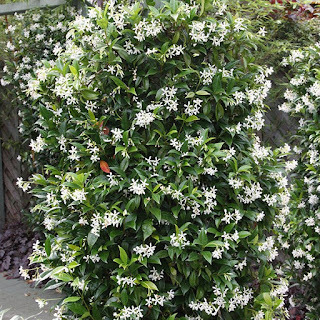 Flowers are white and bell-shaped and grow singularly or in pairs along the stem. Fruit is bright orange to red berries. Roots are dark, cylindrical branching rhizomes bearing pale, fleshy tubers which become entwined together forming a dense mass about 5-10 cm deep in the soil. The stems arise from the rhizomes. Removal: Hand pull and dig out the rhizomes. All underground material should be removed and follow up will be required. Dispose of rhizomes and any fruit in the red bin. As groundcovers there are several prostrate or low mound-forming Grevilleas, some of which even have similar foliage to the asparagus ‘ferns’, though they will not tolerate such shady conditions Grevillea obtusifolia and Grevillea juniperina ‘Molonglo’ with yellow to apricot flowers are just two of many available. For shady areas: Prickly rasp fern, Doodia aspera. This is a pretty fern as its new growth is a bright pinky-orange. 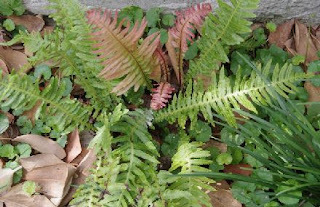 It makes a good groundcover for a shady site and is one of the most drought-tolerant local native ferns. * Thirty two Weeds of National Significance (WoNS) have been agreed on by the Australian governments based on an assessment process that prioritised these weeds based on their invasiveness, potential for spread and environmental, social and economic impacts. Landowners and land managers at all levels are responsible for managing WoNS. State and territory governments are responsible for legislation, regulation and administration of weeds.